Clinic Synopsis: All children are born, with some potential to succeed with music, but with little or no music experiences in the early years, children can lose their intuitiveness for making accurate and sensitive musical responses. The future success of vocal and inst. performers—as well as musical participation in daily life—is significantly dependent on appropriate early intervention. Here, is critical information about how children think about music and what we can do to help them develop musically. Clinician Biographical Information Dr. John Feierabend is a leading authority on music and movement development. He is a professor of music and the director of the Music Education Division at The Hartt School of the University of Hartford, and past president of the Organization of American Kodály Educators. Dr. Feierabend makes frequent presentations throughout the United States and abroad, and is the author of over 70 books, articles, CDs, and DVDs. 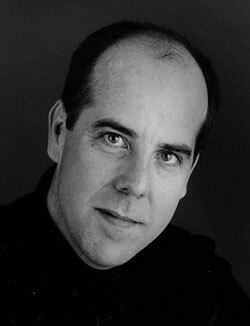 Dr. Feierabend also helped develop the PBS children's television series Lomax: The Hound of Music, which is based on his First Steps in Music curriculum. He is committed to collecting, preserving and teaching the diverse folk music of our country and to using folk music as a bridge to the understanding and enjoyment of classical music. His curriculums of tonal, rhythmic and expressive experiences develop both musical literacy and musical sensitivities.